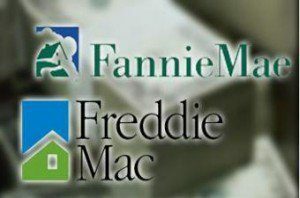 Home / Daily Dose / Are Reforms in the Cards for Fannie and Freddie? Are Reforms in the Cards for Fannie and Freddie? On Thursday, the Financial Services Committee (FSC) held a hearing titled “A Failure to Act: How a Decade without GSE Reform Has Once Again Put Taxpayers at Risk”. The purpose of the hearing is to examine the implications of the ongoing conservatorship of Fannie Mae and Freddie Mac, ten years after the financial crisis and the GSEs were put into conservatorship. The conservatorship was never meant to be a permanent solution. Ahead of the hearing, trade groups such as the Credit Union National Association (CUNA) urged policymakers to fasten GSE reform in a letter to the administration. In his opening statement, FSC Chairman Greg Hensarling stated that the “GSEs’ anti-competitive government charters and ever-increasing “affordable housing” mandates created a toxic mess of systemic risk,” and are quietly returning to pre-recession level dominance. Hensarling states that there is a plan to permanently repeal the GSE’s charters, ending their monopoly. This will begin a transition to a system that allows qualified mortgages backed by an approved private credit enhancer with regulated, diversified capital resources to access the explicit, full government securitization guarantee provided by Ginnie Mae. “While by no means perfect, we offer this proposal as a grand bargain on how to move past an increasingly dangerous status quo: codify an explicit government MBS guarantee into law, coupled with an accountable and effective affordability program in exchange for placing the taxpayer in a catastrophic loss position only diffusing the credit risk beyond two GSEs, and creating market competition,” said Hensarling. In her testimony before the FSC, Nikkitra Bailey, EVP of the Center for Responsible Lending states that the GSEs and Ginnie Mae provide valuable resources to homebuyers in under-served communities. "Congress has a unique opportunity to reform the secondary mortgage market in a more equitable manner," said Bailey. Such action will allow far more American citizens the opportunity to thrive and keep smaller lenders on equal footing with large national banks. Congress must also act with extreme care and build upon existing reforms that have stabilized the marketplace and made it safe for consumers and lenders alike. Edward DeMarco, President of the Housing Policy Council's testimony noted that the GSEs should not receive preferential treatment. Currently, mortgages approved by the GSEs get preferential treatment under the qualified mortgage rule. "If we are to wean the system from its dependency on the GSEs, a systematic review of these preferences is needed and regulators, starting with FHFA, should be seeking pathways to end preferential treatment," said DeMarco. "Such a systematic review also should identify those preferences that are worth preserving because they enhance market efficiency." "In the end, the goal should be achieving a more open and competitive market, not an unstructured market," he added. Edward J. Pinto, Resident Fellow and Codirector of the American Enterprise Institute Center on Housing Markets and Finance, testified in the hearing, noting that we are in the middle of another housing boom, like the boom that preceding the housing bust in 2008.